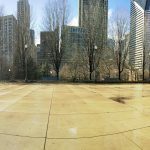 Rent or Buy in Chicago? Everyone seems to be buying in Chicago. It’s THE thing to do. The New York Times released one of the coolest web apps ever called “Is It Better to Rent or Buy?” Just plug in your numbers and POW, it tells you if it’s better to rent or buy. And boy, do I ever learn the critical importance of Annual home price appreciation. Here’s the graph with a 5% increase. Oh wow. 11 years, it’s better to buy. Sounds great, right? OUCH! It’s better to rent, like, forever! Now how did I get that 4% number for the rate of increase for renting. From 1988-1997 Chicago’s rent increase was 4.0%. But that’s ten years ago. The average rent nationwide was 2.5% in 2005. (And in 2004 the apartment vacancy rate was 10.4%, the highest level since the Census Bureau began keeping statistics in 1956.) Ok, so putting down 4% for apartment rate increase should be a very liberal amount that favors buying. 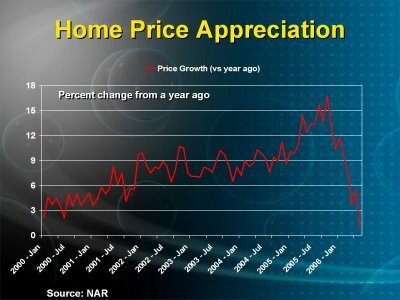 Back to annual home price appreciation, buying a house or condo REALLY depends on this annual home price appreciation. What’s the history of this trend? Read below the fold to see more graphs. 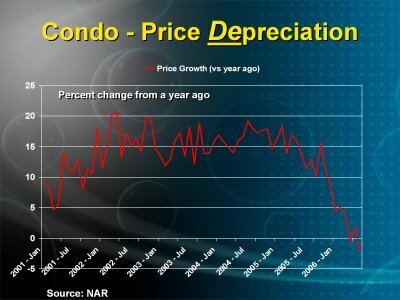 Courtesy of Marin Real Estate Bubble blog and National Association of Realtors. Here are some graphs with National trends. Momma. Look at that dip. And it looks even WORSE for condos! Now it makes me wonder if the market will rebound, look at all those years when the appreciation was really high. I all need is a 5%. People are just overspending what they can afford. I’m convinced that too much of America is in debt, like, serious debt. Then again, this chart NYT chart assumes that I would be living in a 750 square foot apartment on the north side of chicago all my life, which I don’t think I would be doing. Not that there’s anything wrong with that, I would just really like to have a basement with tools to be able to build stuff, and of course, have room for a family someday. 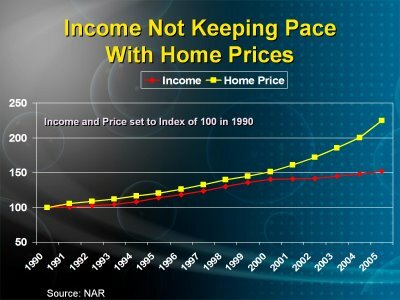 I would like to see these NAR Home price appreciation charts go back to include more years. There’s a site that includes the normalized ration of mean house price and per capita since 1969. Although it’s for Marin County of California. But you get the idea of the cycles that real estate go through: http://marinrealestatebubble.blogspot.com/2007/04/mars-propaganda-blitz.html When the market peaks, it drops for about six to eight years and then recovers again. Oh, and renting is like throwing money out the window. When you own, you’re at least earning equity, which is always better in the long run.